Plus it is a bit easier as compared to the rest of the tutorial we have shared to bypass the new Android factory reset protection screen. I love that Google is putting in theft detection. I really like the direction they're moving with thus security feature but I think it was thrown out a bit early. You can downgrade your android version if you want to avoid this security lock. Step 1: Download and Install. If you are getting any problem in between any step then please watch the video for better understanding. Samsung is now serious about your security and privacy, they are now taking the right measures to protect your personal data. You can downgrade Samsung device firmware very easily using. Hope these two methods helped you to clear your doubts on how to bypass google factory reset protection. It is available for all Samsung devices and models say Galaxy J series, Galaxy A series and S series and edges. It can also happen due to the Factory reset. Sorry if you're really saying that you can't reset your phone for 3 days after you change your password. It will just ask you to add a Google Account, which you can do or you can skip it. 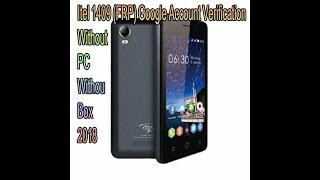 It protects your Android devices from unauthorized access if you lose your phone, stolen or someone does a factory reset without your permission. I am not sure who was the developer but credit goes to Root Junky. The person who finds your mobile and knows the password can erase all of your mobile phone data. A new method has been released. This seems to be very beneficial for an Android User but many people got troubled due to this and want to deactivate this Security Lock on their android phones. Sent from my Nexus 6 using Tapatalk Great work around. Today technology is in every hand and easy to reach. Step 6: Scroll down and find Backup and reset. Either you got a phone from Samsung, Huawei, Oppo, Nokia and much more, at the Google account details which were previously logged in. What should I do for Android 8. It sounds like you may be using 2 factor authentication? But many people face difficulty in reset their device or it become a cumbersome task for them. There you can verify your account. So, if none of the methods works, the only way is to downgrade the Android Version. There are many tutorials for the same method that you can see on the web. 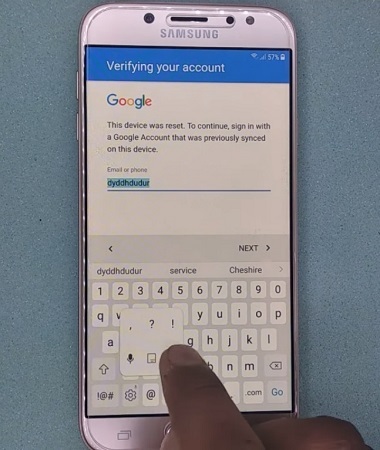 There are incidents where people have forget their Google and Samsung login credentials, and finally unlocked their phone using this frp bypass tool apk. To counter this, google requires the user to verify they're the owner of the device that was reset by giving the credentials of the google account associated with the phone before it was reset. Save this contact to the device with any random name and the phone number 1234 or any local number you have provided in the above step. This is how you can install the Factory reset protection or frp bypass apk tool on your android device. If you try to root your device using the unsecured program then this is bound to happen. Just open the keyboard and its settings. There is a 72 hour reset time from the time you changed your account password until you're able to use it to authenticate during the setup process and until you authenticate you cant use the phone. The device will ask you to enter a new Google Account credential there. After that unzip and install it. Go through the steps and carefully execute as said in order to get through the process. They will not be able to get through the Google verification of the device. What the app actually does is it just gets you into the Settings menu. 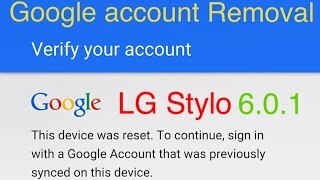 Selecting this option, you may carry on the factory reset and wipe off all data of the device including your previous google account. If in case you were unable to do it, here are my suggestions and should work 100%. And for most of the brands like Samsung other, they were waste of the time. So this app will work on low end devices as well. Use to get the file. We are explaining you this for you so that you will better use it. So, if it is possible for you to downgrade then go ahead and do it and then follow our guide.